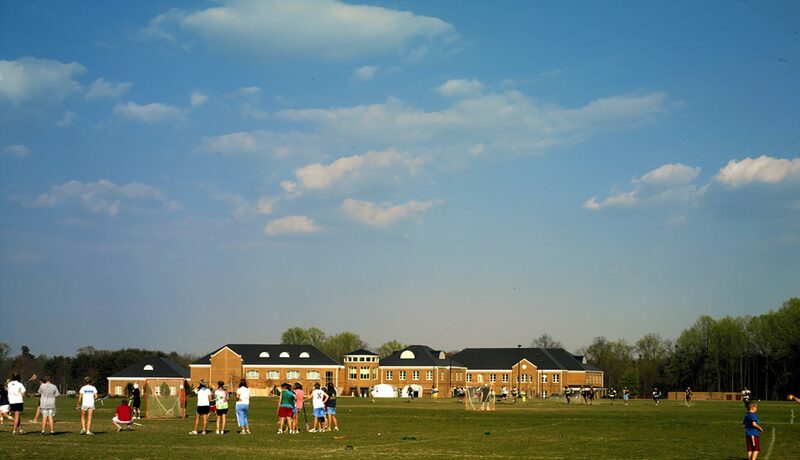 A master plan by JMT provided for athletic fields, parking and a full future build-out of the institution. 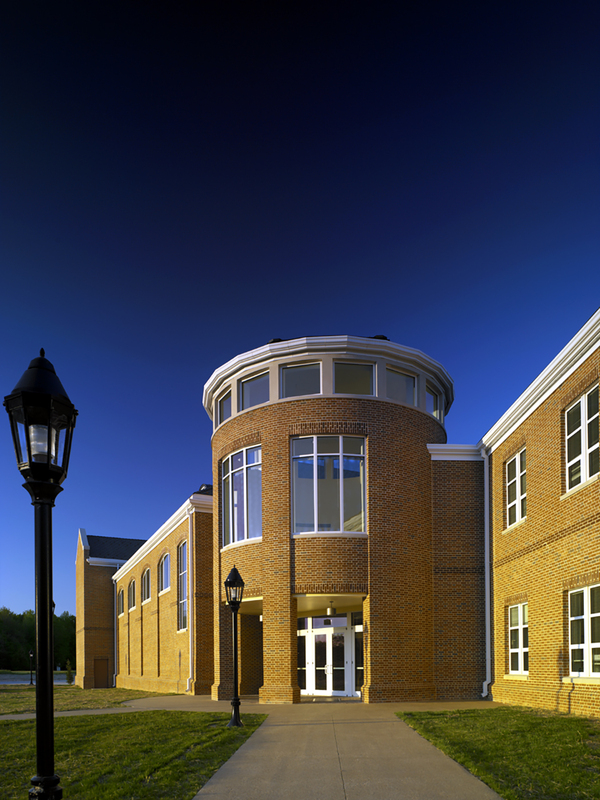 JMT subsequently was engaged by the school to design the first group of new buildings, including an upper school classroom building, an administration and library building and a performing arts center. The three buildings are grouped together to form a quadrangle and are linked with an arcade. A prominent cylindrical tower provides a focal point for visitors to the campus and a strong entry statement to the school buildings. 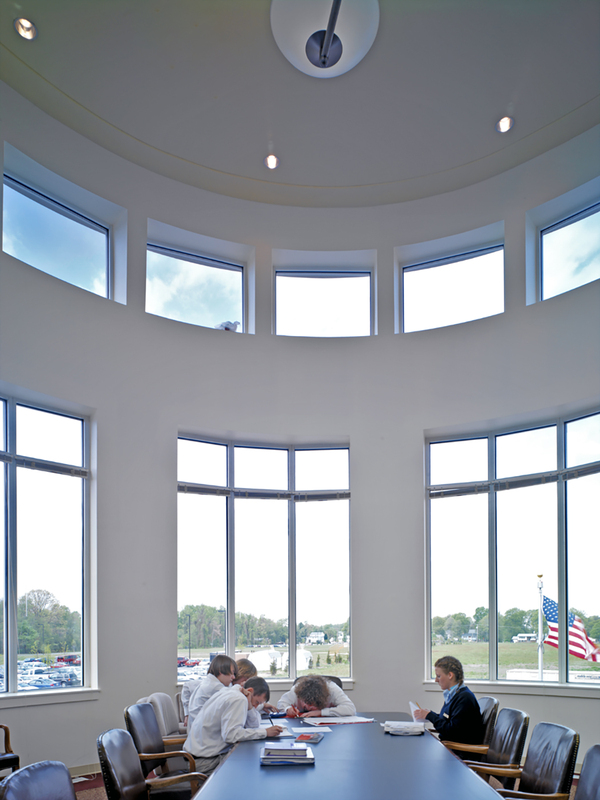 A generous double height lobby links the administration building with the arts center and opens out to the quadrangle allowing for indoor/outdoor events during pleasant weather. 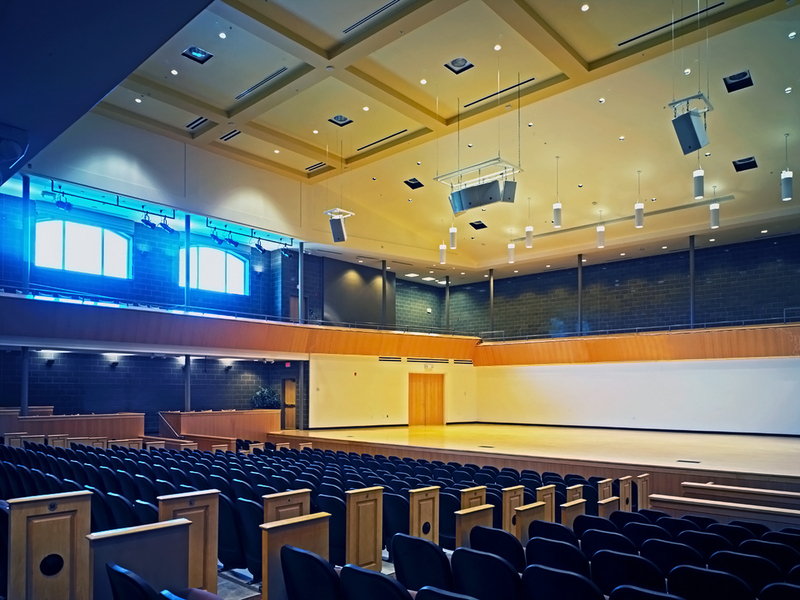 The 700-seat performing recital hall was designed to showcase the School’s renowned music and choral arts program. The hall is noted for its acoustics and is often rented by outside groups. The facility includes band and choral rehearsal spaces as well as instrument storage areas. The classroom building contains the full complement of academic spaces including science labs, computer labs and general classrooms. 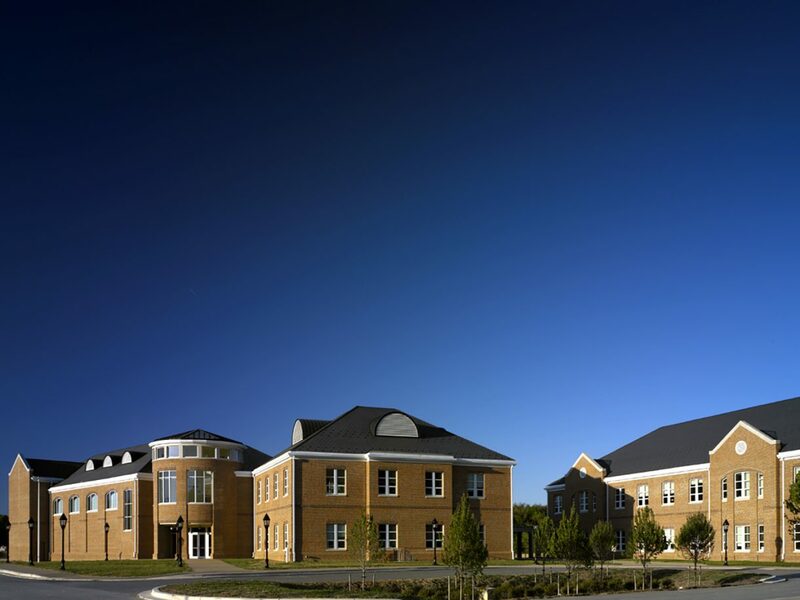 The buildings are designed in the tidewater style to reflect the region’s architectural heritage. The site design includes athletic fields, parking and drop off areas. Extensive site work includes a storm water management pond sized for the full campus build-out, a well and underground cistern to provide a source for firefighting.